KOCHI: After the initial hue and cry, even the opposition seems to have lost interest in the Kochi corporation budget. And the ruling front, which passed the 2014-15 budget on Thursday without much hassles, is not complaining! From Kudumbashree activists to representatives of residents associations, NGOs, Kerala Chamber of Commerce and Industry (and other trade organizations, who are generally present during the budget presentation and discussion, everyone its seems had better things to do. “Before presenting the budget, ideally, the corporation should do a financial review and prepare a status report of projects announced in the previous budget. But, now, such a practice is not followed and the budget has become a ritualistic affair. 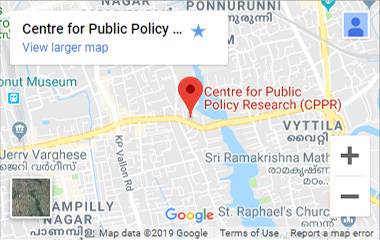 Corporation authorities draft proposals only three to four days before the presentation and do not take into consideration what the city really needs,” said D Dhanuraj, chairman, Centre for Public Policy Research (CPPR), Kochi. Meanwhile, in his speech on the budget, mayor Tony Chammany, said that GIZ, a German agency, would give technical advice for setting up two sewage waste management plants in the city. Opposition councillors wanted the health hygiene force, a proposal in the budget for eradicating mosquitoes, to be deployed based on the size of each division.